This is a hard one to find and I'm thrilled to be able have them. Please pardon my pics...they do not do this fish any kind of justice. 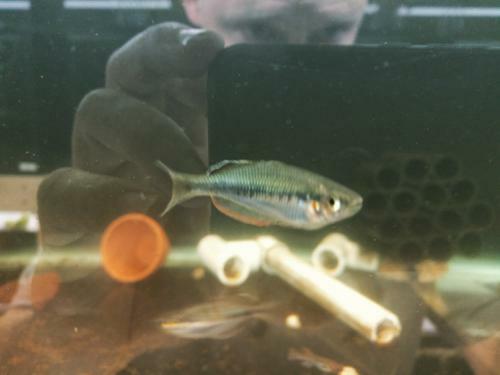 These fish are young at around 2" or a bit bigger. They have a lot of coloring up to do, but I can see their potential coming through. Like most rainbowfish, these are peaceful, strikingly beautiful fish. They are active and feed vigorously on flakes, pellets, frozen foods, and live foods.